Knight (Mike the Knight ). 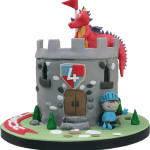 Children’s novelty birthday cake. A Mike The Knight Cartoon Character. Everything except the flagpole is edible on this cake. This particular cake was made from our rich Belgian chocolate cake and coated with our special ganache recipe. 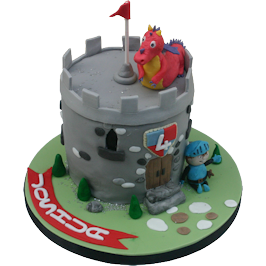 The cake is set on an 8 inch round board which has trees and Mike The Knight on the base. We have also made some iced effect pebbles and built iced steps for the entrance into his castle. The castle doors and shield have been made from icing and the shield shows the persons age. In the centre on the top we have placed the iced flag on a <b>(NONE EDIBLE)</b> flagpole. 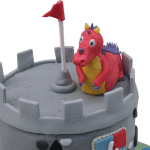 Sparkie the Dragon has been hand made and decorated and placed on the top of the castle with his tail draping down over the side. An ideal birthday cake for the young persons birthday. 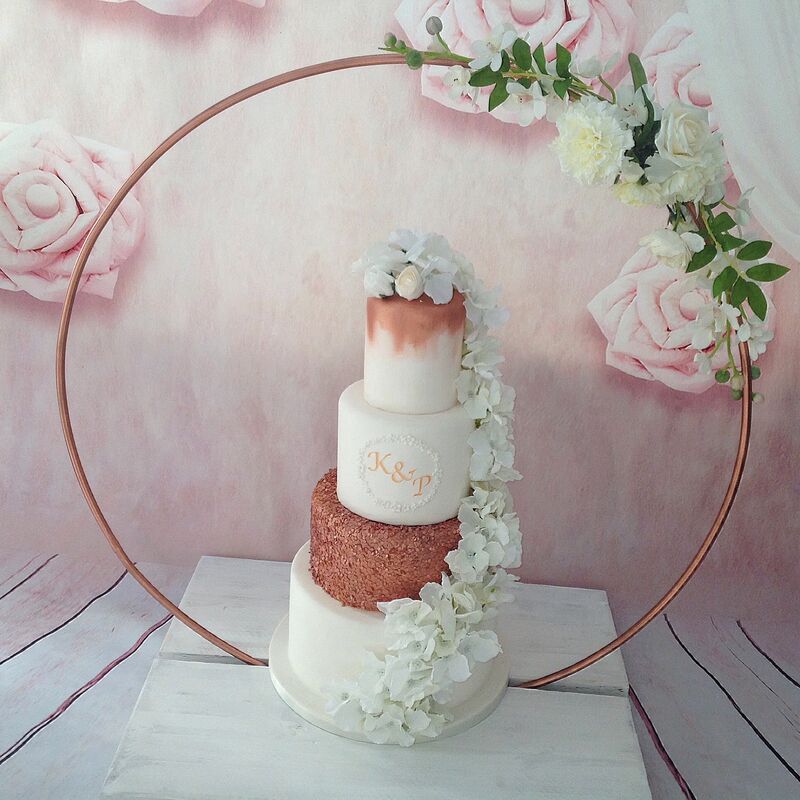 A full range of sizes and mixed flavours is available for this cake. We can also make a bigger and more intricate version on request. 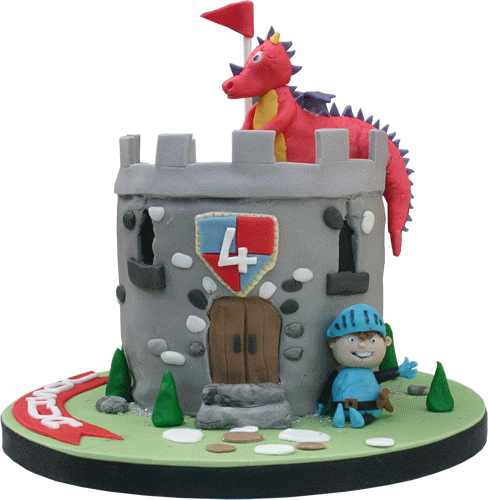 We also replicate many other children’s cartoon character birthday cakes. These include Characters from Walt Disney and other famous cartoons. 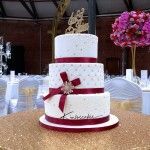 Attention is paid to detail to ensure the replica bespoke cake is at its best for you. If you would like us to design a unique bespoke birthday cake then please feel free to contact us direct. This particular children’s cake was delivered to one of our regular customers in Nottingham. Many thanks for your enquiry for an In The Night Garden Cake. I have done a couple of these cakes in the past. Unfortunately I do not always get the chance to take pictures of all the cakes I have done so I cannot send you any images. 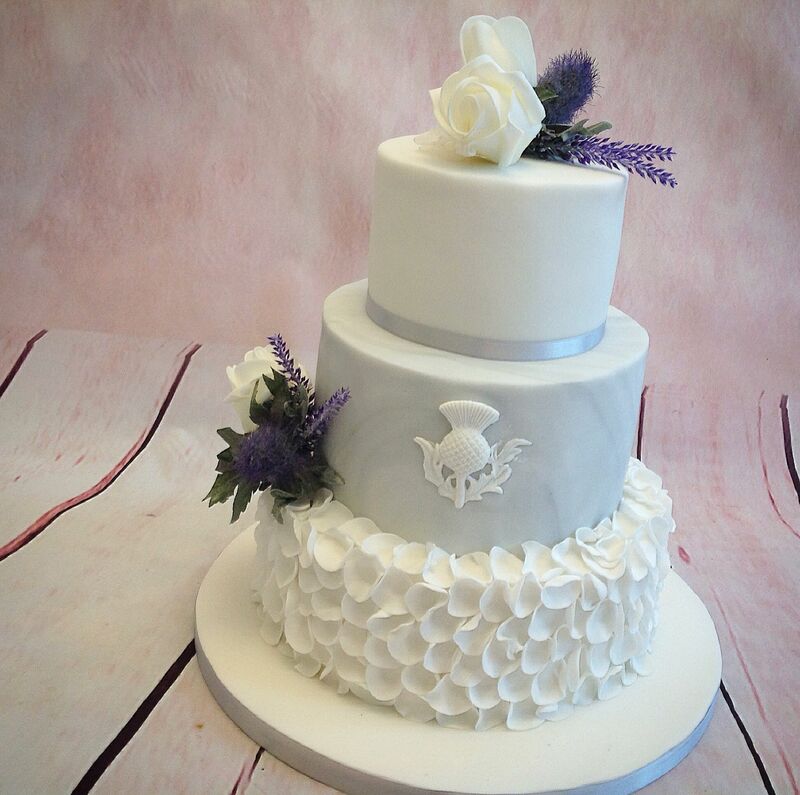 Please look at my cakes throughout the site and on my facebook page https://www.facebook.com/kimboscakes if you need any re-assurance. 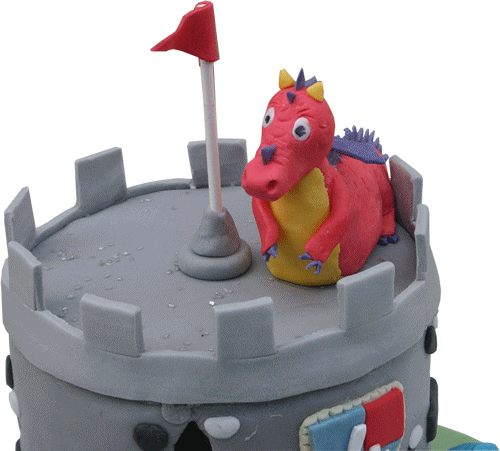 As there are many themes for In The Night Garden cakes, do you have a prticular one in mind?